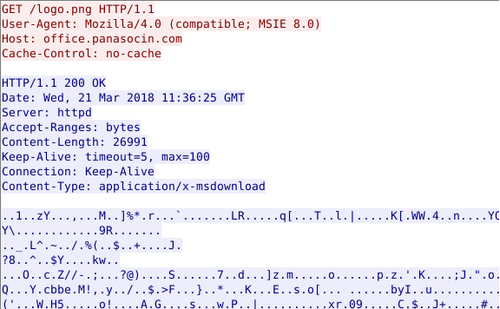 In a past article, we introduced TSCookie, malware which seems to be used by BlackTech. It has been revealed that this actor also uses another type of malware “PLEAD”. (“PLEAD” is referred to both as a name of malware including TSCookie and its attack campaign . In this article, we refer to “PLEAD” as a type malware apart from TSCookie.) PLEAD has two kinds – RAT (Remote Access Tool) and downloader. The RAT operates based on commands that are provided from C&C servers. (Please refer to a blog post from LAC for more information .) On the other hand, PLEAD downloader downloads modules and runs it on memory in the same way as TSCookie does. This article presents behaviour of PLEAD downloader in detail. PLEAD downloader downloads RC4-encrypted modules from certain sites. Figure 1 shows an example of an encrypted file downloaded from a server. 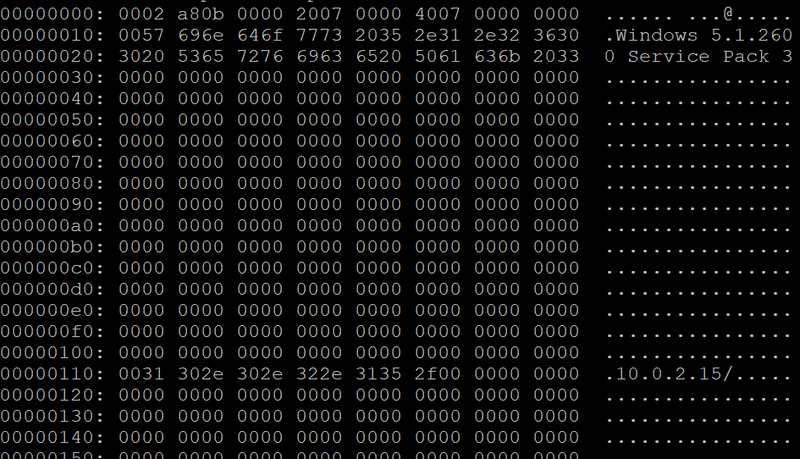 The first 20h of the downloaded file is the RC4 key to decode the file. Once decoded, you can find the module (hereafter referred to as “PLEAD module”), C&C server, encryption keys etc. Figure 2 is an example of a decrypted file. PLEAD downloader loads PLEAD module (contained in the decrypted data) and executes it. The module will not be saved as a file but only exists on the memory. The following section will explain the details of PLEAD module. PLEAD module operates based on commands provided from C&C servers. 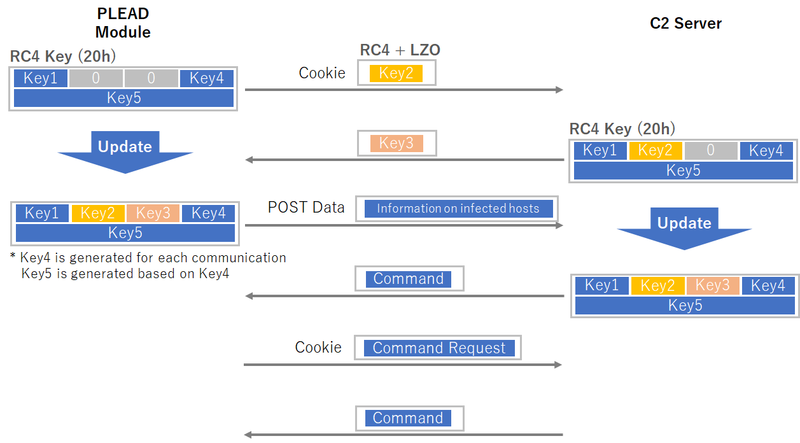 Communication to/from C&C servers is RC4-encrypted and then compressed with LZO. 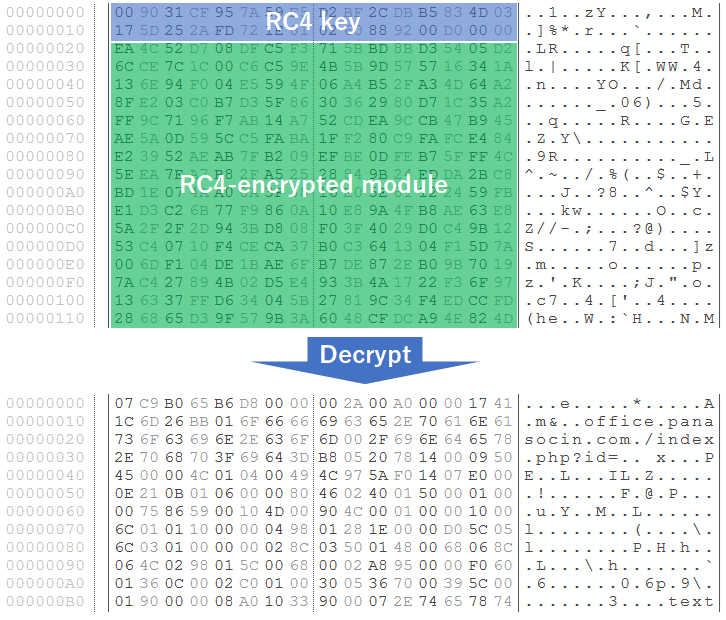 The RC4 encryption key is a combination of the ones generated by itself and another sent from a C&C server. Figure 3 describes the flow of communication that PLEAD module performs. 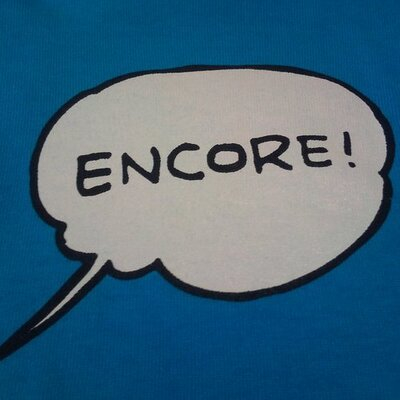 PLEAD module first shares a RC4 key with a C&C server. Below is an example of an HTTP GET request which is sent at the beginning of the communication. Cookie header contains an encrypted RC4 key. In the data sent in Cookie header, “D” and “E” are interchanged. Refer to Table A-1 and A-2 in Appendix A for data format. RC4 key for data encryption is 32 bytes long, divided into 5 blocks (4 byte * 4 + 16 byte * 1). The first block in the key (Key1 in Figure 3) is included in the configuration of PLEAD module. The second and the third block (Key2 and 3) are set to 0 in the HTTP GET request. The fourth block (Key4) is randomly generated and inserted after “id” in the URL. The fifth block (Key5) is generated based on Key4 value. The data which is sent first contains Key2 value. With that value, the recipient server encrypts Key3 value and send it to C&C server. The data format is described in Table A-3 and A-4 in Appendix A. This way, an RC4 key is generated and used for communication that follows. Below is a part of Python script to decode data. After sharing the RC4 key, PLEAD module sends information about an infected host using HTTP POST request. The data format is the same as shown in Table A-1 in Appendix A. The data itself contains the host name, OS version, IP address, user account name of the infected host. Figure 4 is an example of decoded data. After that, a command will be sent from a C&C server. PLEAD module can execute the following functions based on the commands that are provided. As we previously described, this actor has been conducting attacks against Japanese organisations using various kinds of malware. As this attack campaign is likely to continue, JPCERT/CC will watch the trend carefully. We have listed the hash values of the samples that were described in this article in Appendix C. Some C&C servers that are lately confirmed are also listed in Appendix D. Please make sure that none of your devices is accessing these hosts. *In the data contained in Cookie header, “D” and “E” are interchanged.